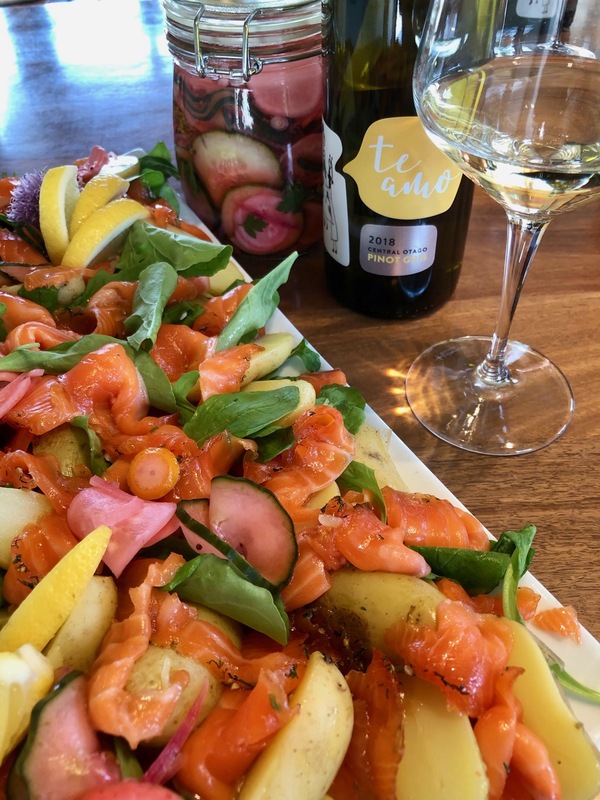 This weekend I shared a day with my friend Ruth from Te Amo wines, matching food with her beautiful Pinot Gris and Pinot Noir wines. It was also Ruths birthday and I was lucky to also be able to share food and wine with her amazing friends and family. 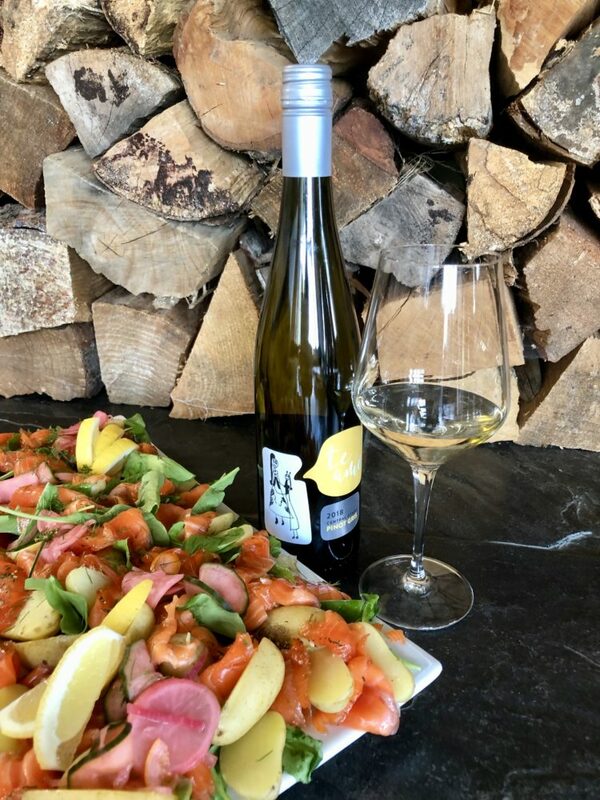 For this special occasion, and to match her Pinot Gris, I prepared Scandinavian Salmon Gravadlax. This is a simple preparation that can happen slowly in the refrigerator over a few days. There are many variations on this traditional recipe that are also amazing, but for me I am happy to keep with the original simple recipe – no added spirits or beetroot today. 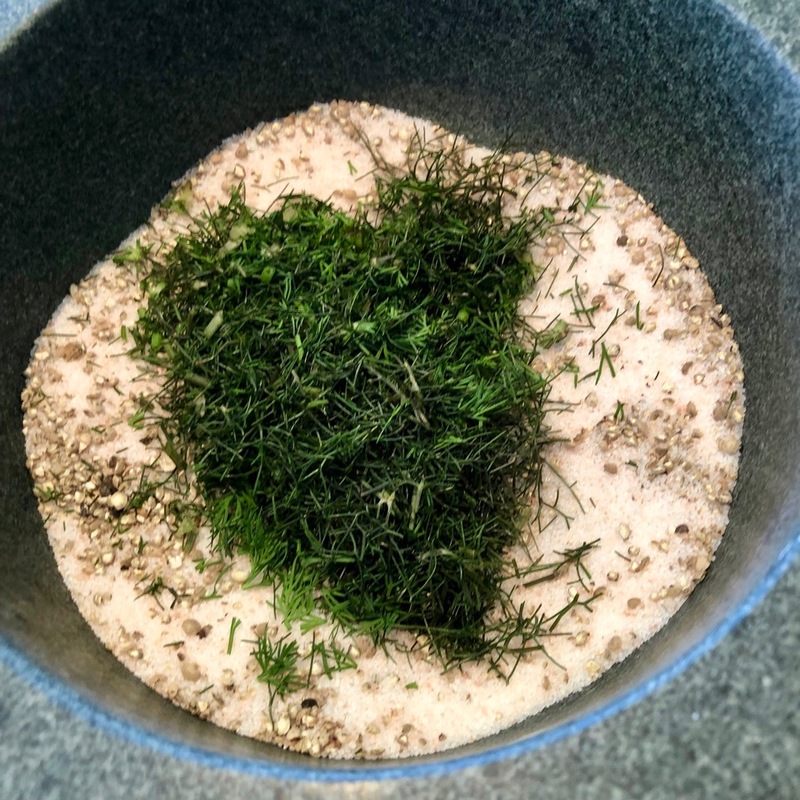 Most times I will eat gravlax as a pre prandial, canape or tapa, but today I wanted to make a seasonal salad to share as part of a birthday lunch, hoping to embrace fresh spring flavours for the party. I have served the Gravadlax with baby new potatoes, rocket, some of my Quick Fridge Pickle and a creamy dill dressing (which managed to miss our photo session) but definitely added to the salad later. More on that another day. Today I simply want to share the basic recipe I love for this traditional Scandinavian treat. Simple salt sugar cure for approximately 750 gram piece or small ‘ish” side of salmon. These quantities can easily be increased proportionately if your salmon side is considerably larger. 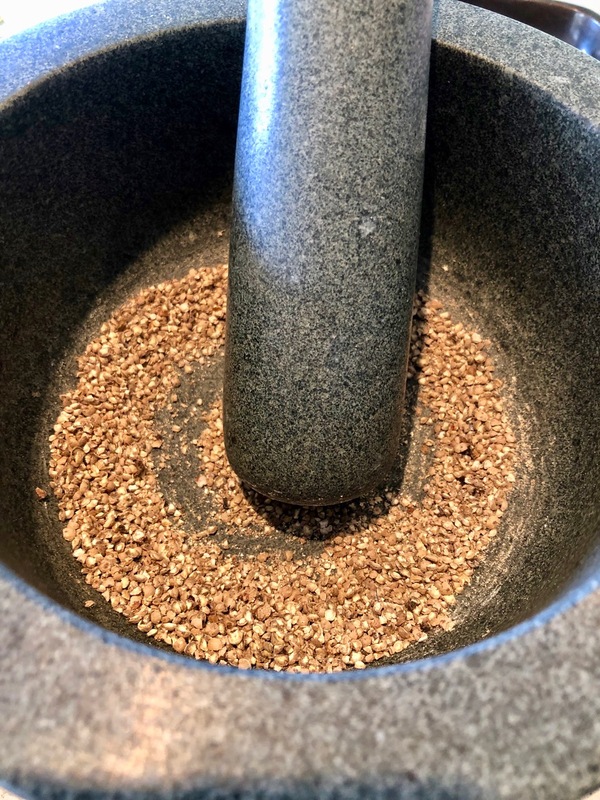 Using a pestle and mortar, a spice grinder or your own spice grinding invention! roughly grind the peppercorns. Add the salt sugar and chopped dill and mix to combine. Put 2/3rds of your cure mixture evenly over the clingfilm in the base of your dish and place the salmon flesh side down on to this. Put the rest of the cure over the salmon and press it all in over and around the salmon fillet. 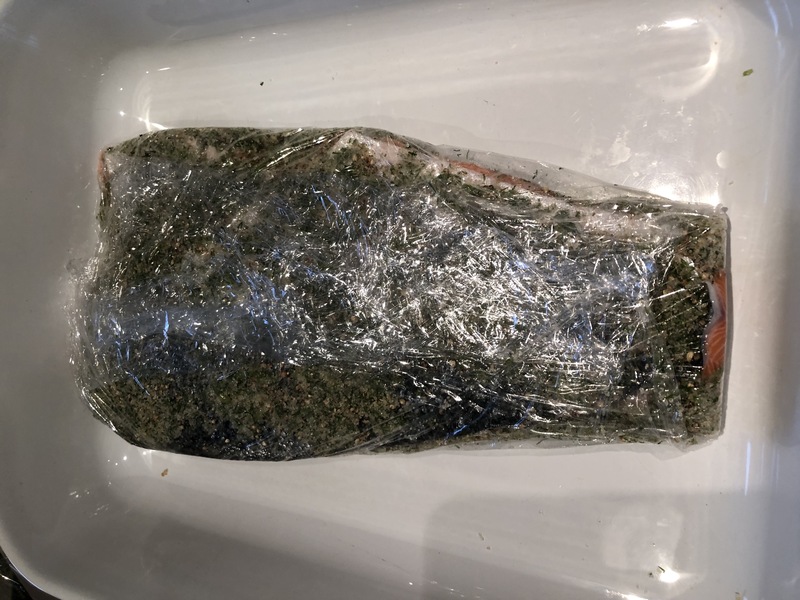 Pull the ends of the clingfilm over the salmon and draw up the sides to come together in a clean, firmly wrapped, neat parcel. 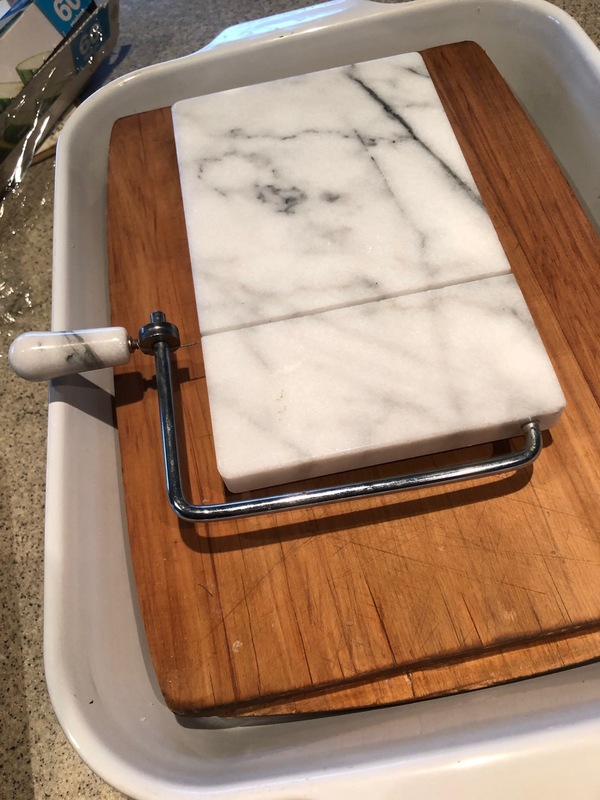 Find something a lit bit weighty that will fit on top of the salmon parcel and fit in your refrigerator – you might need to use a bit of ingenuity here depending on space in your refrigerator – mine is always exploding with condiments – so think outside the square, I found a marble cheese cutter, maybe a couple of tins on a flat chopping board…… Leave the salmon in the refrigerator to cure for two to four days. If your salmon piece is small and thin two days will be perfect giving you cured salmon that still has tender soft flesh, if your salmon is bigger or you prefer firmer gravadlax (or if life gets busy and you forget it) – leave it for a third or even a forth day. You can turn it each day and drain of the liquid that will collect, but in truth I don’t think this is necessary to the finished gravadlax. 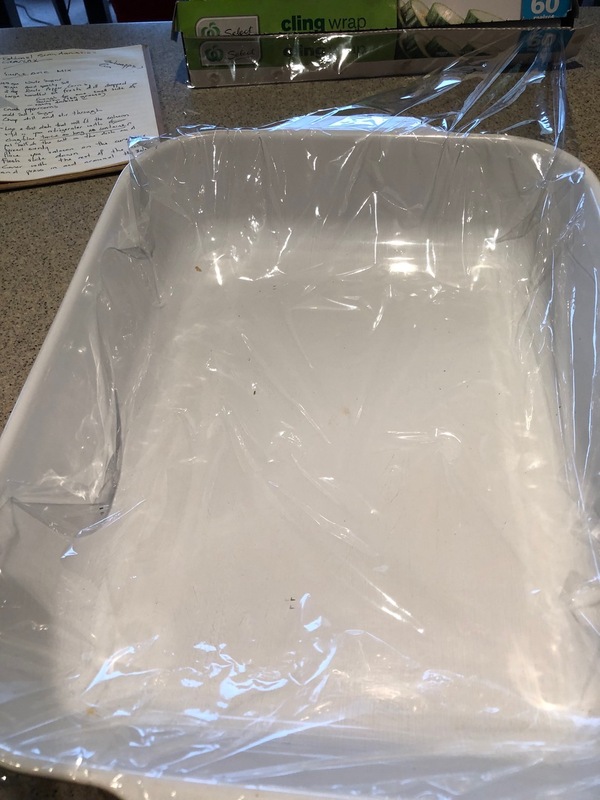 When you are ready, take it to the sink and carefully remove the clingfilm and rinse off most of the cure. I leave the last bits to cling to the gravlax for flavour and looks. You can now take your best sharp knife and carefully cut beautiful fine slices of salmon. Cut down to the skin but not through the skin – at this point the skin is quite tough so this is not difficult. Cut as much as you need then rewrap the rest for another day. 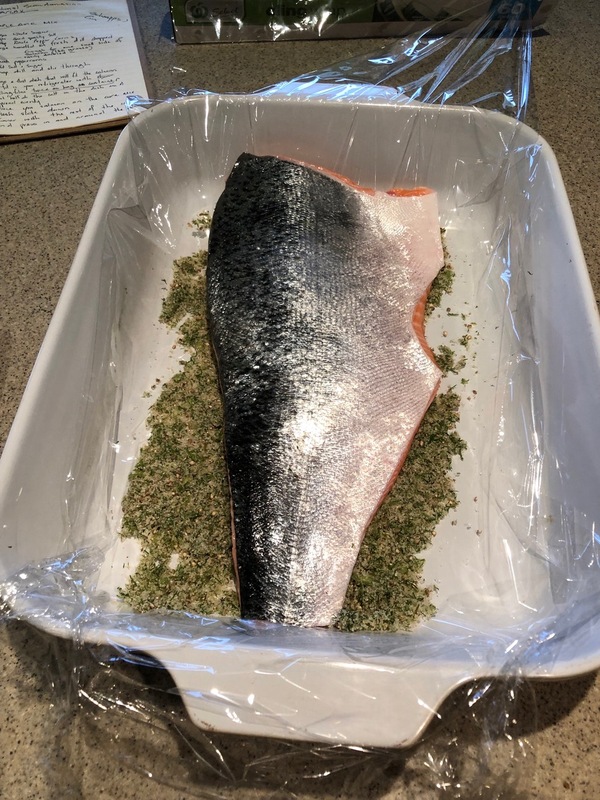 Or – you can re wrap the whole piece of rinsed off salmon and because of the salt cure it will last at least a week in your refrigerator ready for the moment you need it. 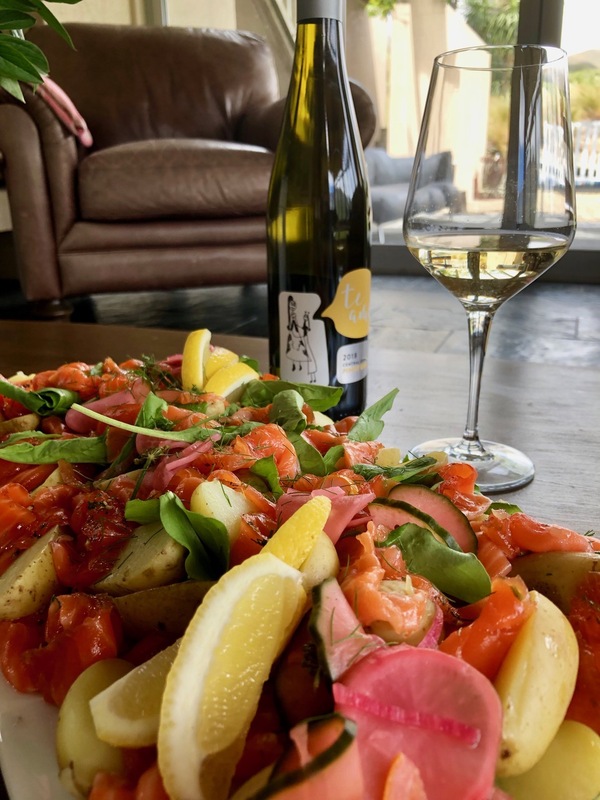 Ruths Pinot Gris was delicious with this Spring Gravadlax salad and, if you would like to try it (which I highly recommend) you can contact her through her Te Amo wines page on facebook or vino@darino.co.nz.